Sometimes you might find that you plug a USB Flash Drive, or external hard disk into your PC but it doesn’t appear in File Explorer, and is inaccessible. This is a straightforward problem to fix, as sometimes Windows either doesn’t assign a drive letter to the device, or it assigns a drive letter that’s already in use by another device. If unplugging the drive and plugging it into a different USB port doesn’t work, or isn’t an option, press the Windows key + X from the desktop to open the Administration menu, and from there open the Disk Management [Console]. 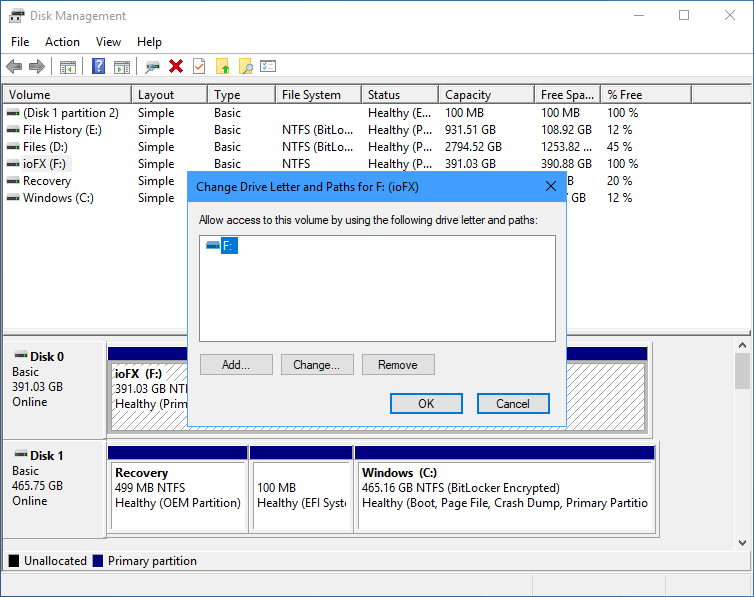 Once in the Disk Management Console you will see, both listed as text and displayed graphically, all of the disks available on your PC. Look for the correct USB disk and right-click it. From the context menu that appears click Change drive letter and paths and here you can either add or change the drive letter for the device, after which it will appear in File Explorer and be available for use.